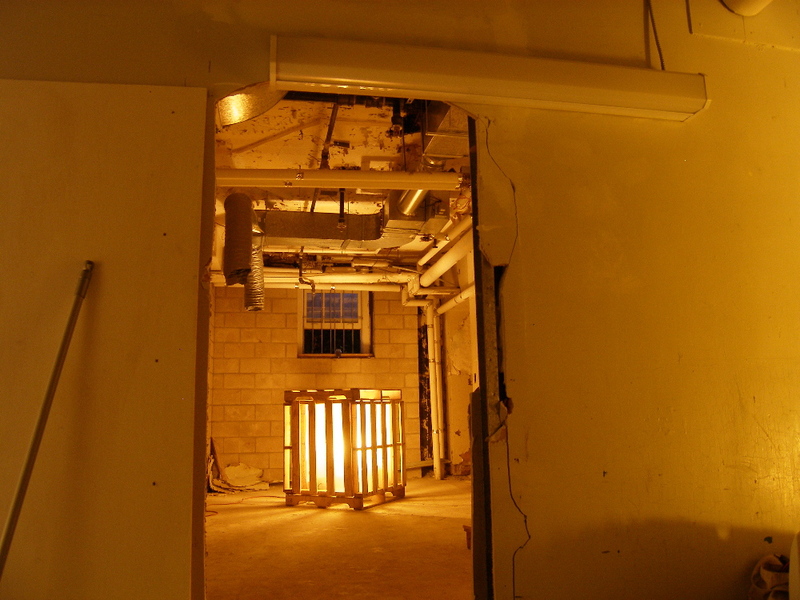 Abandoned Room (2009) - A pallet lantern built with found objects in a room closed off for years by studs and drywall in the basement of King's College in Halifax, NS. A gentle melody recorded by Grant Pardy played from within. The piece was created for a site-specific group exhibition curated by Erica Elsworth for the Kyber Centre for the Arts: Do You Want Fries With That?